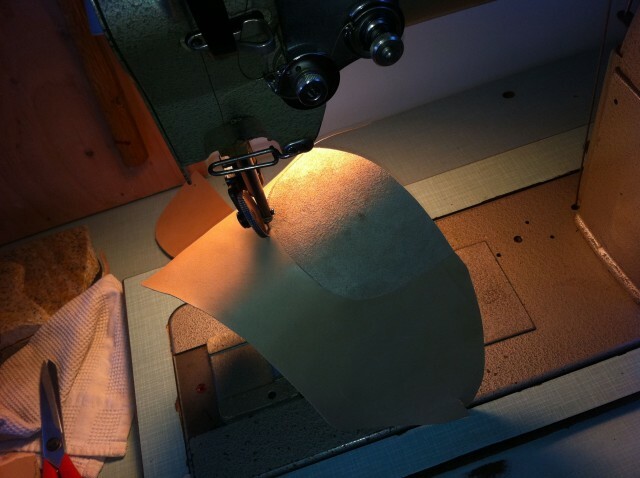 A few progress photos of the making of the uppers for The Chukka Boots. Lining has been clicked, skived and the non-slip has been sewn in. Copyright © 2019 Craig Corvin. All rights reserved. 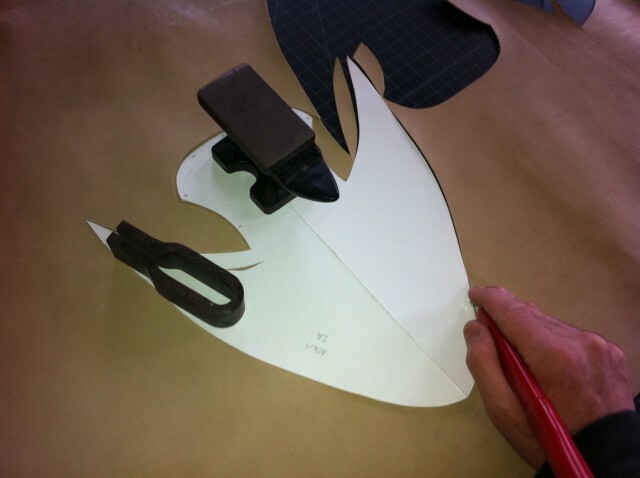 A term used to denote a strip of leather covering and strengthening the back seam of the shoe. The part of the sole of the shoe between the heel and ball. This name is often applied to a piece of metal or other substance in that part of the sole, intended to give support to the arch of the foot. The part of the shoe above the sole. 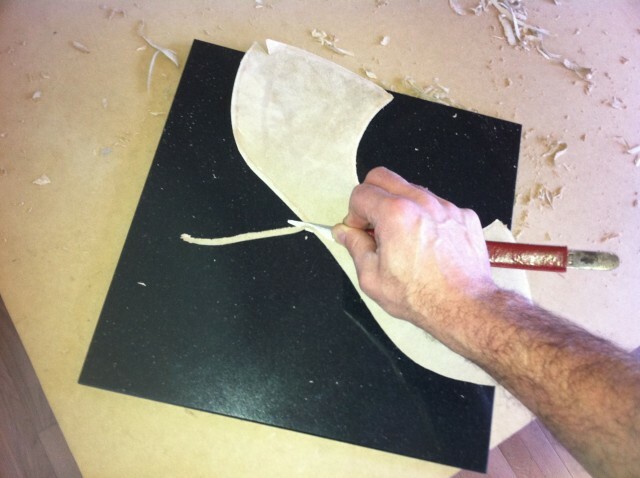 Skiving is the reduction in thickness of certain edges of upper components. 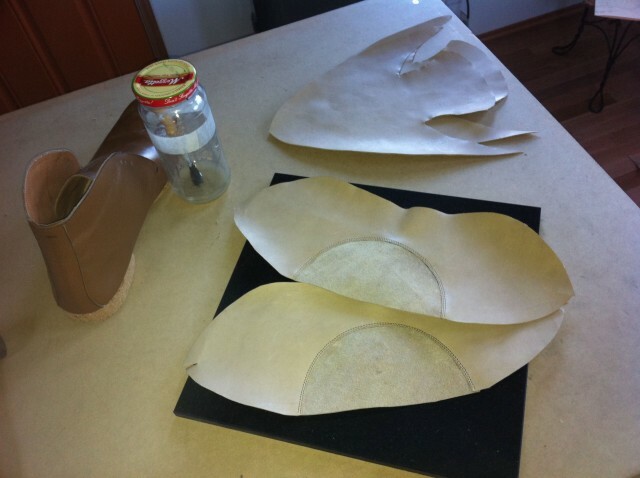 Clicking is the traditional word for cutting out the pattern pieces of the shoe uppers. The origin of the word is obscure but the most acceptable explanation is the fact that when a hand cutter’s knife leaves the board on the completion of a cut it makes a distinct clicking noise.